After more than thirteen years the time has come for an exciting change for Salsabor. We (Raquel and Andrea) are bowing out and the one and only Juan Pablo Blanc, our ‘JP’ is stepping in with his sister Carolina as co-director (yay siblings unite!). Yes, that’s right; we’re moving on but in doing so want to assure you that Salsabor will still continue on in all its greatness. The one and only JP making us laugh at one of Salsabor’s End of Term fiesta in 2016. With our lives changing significantly over the last three years, with two babies, a new city to call home, and plans for more to come in the future, it has been harder to continue to make frequent trips to Canberra for Salsabor. Little Louis and baby Leo at the Salsabor End of Year Fiesta. They’ve travelled with us to and from Canberra since they were both 3 months old. For us teaching, being an active part of the studio community, being able to meet and get to know all of our students was an essential part of Salsabor, and not being able to do that as much, we’ve felt the time is right to hand over the reins to someone who loves Salsabor as much as we do. Moving on has been one of the hardest decisions we have ever made; to come to the decision to let go of something that has been a part of our lives for so long, is like deciding to live without your right arm or parting with a best friend. But, the driving factors, however, are simple, life. And, we couldn’t be prouder to ‘pass on the torch’ to JP. JP has been with us from nearly the beginning, first as a student and then as an instructor, and has and always will be one of the highlights of our school. When JP expressed interest in taking over Salsabor, we knew that if he was the one to take over, our legacy would live on. His Spanish heritage and love for all things Latin shines through in every aspect as an ambassador for Salsabor. JP is also beyond excited to keep on inspiring current students to reach new levels and ‘contaging’ more people to the realm of Latin Dance, in namely Salsa, Cha Cha, Bachata, Zouk and Samba. We have no doubt that whatever he devises it’ll be fun and interesting. We wish him all the best on his journey as the new owner. Before we look too much further into the future, we wanted to spend some time in the past taking a trip down memory lane to relive the highlights and magic that is Salsabor. Andrea and Raquel teaching Salsa at the Dickson community hall. Starting in 2004 at the Ainslie community hall with six students, you can say our beginning was humble, but the passion was big. At the time there were no male leads, so the class was taught by Angie and Andrea (followers) and Raquel (lead). From there it simply grew. One of our first professional photoshoots in 2010. Being part of the huge Latin dance scene movement in Canberra. Salsa classes at the Salsabor studio. With the legacy we’re proud to leave behind. ‘To create a ‘second home’ where students embrace a lifelong love of latin dance and music through high quality instruction in a welcoming community’. Getting the keys to our own dance studio was our first major milestone. We went from hiring community halls to having a space we could call our own and design the space the way we wanted it. It was a huge relief to be able to have a place our students and our instructors could call home. Having a blast at our first studio in East Row in 2012. This was at the End of Month 80s social. Salsa performance at the Studio Opening in 2011. Growing from two to three classes a week to a full timetable of up to 25 classes a week within the space of only two years was a massive achievement. This happened around the same time Zumba took off in Australia. Although we stopped teaching Zumba a few years ago, we will always be grateful for it helping us propel our studio to grow in a short space of time. At one time we were offering up to 10 Zumba classes a week! Andrea and I laugh about those times when we were teaching so much and trying to learn as many routines as possible to keep our classes interesting. The awesome Salsabor Zumba team raising funds for the Breast Cancer Foundation in 2011. Finding a second studio to call home after our original East Row studio burnt down was a huge milestone. In fact, Andrea finding a venue to house our 20+ weekly classes within two days was an achievement in itself! It was a difficult time for us and we could have chosen to give up at that point; being the fighters that we are, we decided to find another home and that’s exactly what we did. The fire happened in February 2014 and we were in our new studio by April 2014. Opening night at the new studio in April 2014. Getting a business coach was a huge highlight for the sustainability and overall running of the studio. Almost four years ago we realised the importance of systemising our business. It changed our lives. We stopped chasing our tail and started getting clarity on who we were, our values, and our why. It took us a few years to reach a stage of almost completely systemising our day to day, week to week, term to term and year to year operations, but what we got out of it was sanity and the ability to run our business from Sydney and with two babies in the mix. Thank you Chantelle from Studio Expansion for being the best business coach and mentor! Chantelle working her magic with us and the team in 2015. For Andrea, meeting my husband at the studio was a huge highlight! Our studio has seen some many different friendships form and grow. Most of our closest friends are people we’ve met through the studio. This is one of the reasons we love it so much. It’s more than just dancing. Andrea and Jake’s wedding in Maui, Hawaii 2014. Dancing Bachata for their wedding dance. Raquel’s baby shower in 2015. Surrounded by many dear friends we met through the dance community. Starting the Canberra Latin Dance Festival in 2012 and running it for five years. This was a huge dream of ours, bringing all the Canberra schools together and to showcase the incredible talent that’s right here. We wanted to also give Canberra dancers the opportunity to learn from top Australian and international artists. This huge project is now also under new direction – two very passionate individuals Juan Ruiz and Kat Senger. They both bring a wealth of knowledge, passion and heart to the event. Bringing the Canberra Latin Dance Festival to life was a dream come true. Starting Latin Tuesdays at the Highball Express, which is now a favourite night for all Latin dancers. The atmosphere, the music, the drinks… it feels like you’ve been transported to Cuba. Bachata performance at the opening of Latin Tuesday in July 2016. Andrea celebrating with some sangria at the Highball at one of Salsabor Open Days. Both of us moving to Sydney was a huge change for us. For Raquel, my life until then had been a commute to Canberra from Sydney for eight years. I look back and I admire that woman who dedicated her life and made many compromises to keep her ‘baby’ running and doing what she loved. Once my real life babies were born, my life took on a different meaning and that was the end of my weekly commute to Canberra. Yet, regardless of our location, a testament to our continued commitment, love and dedication to our school is that our core team of instructors have continued to teach and bring their best to the school and each and every one of their classes. We were truly blessed to have them in our lives. Our amazing team! No words will describe how much we appreciate and love you. Our entrepreneurial journey is not ending here. Our calling has moved on from being a dance studio owner to helping dance studios. Watch this space. Latin Tuesday will also continue to be our connection to the Canberra Latin dance scene. We will continue to run that night. That’s something we’re truly proud of and excited to be coming back to that for special occasions and the social competitions. It takes a community of like-minded people who are passionate about the same things as you are to keep your dream alive. Our extended dance community of students, instructors, mentors, family, dancers, and friends have been the driving force behind our beloved school. Without them, we would not be here, and we will be forever grateful to them for helping to realise our dream. Lastly, thank you to our family that has been there from the beginning. Always believing, supporting and giving us so much love throughout it all. Les queremos mucho!! Our number one fans and biggest supporters – our family at the Canberra Latin Dance Festival in 2016. The Paez family at the Salsabor End of Year Fiesta 2017. For us this is not goodbye, it is just a see you soon. 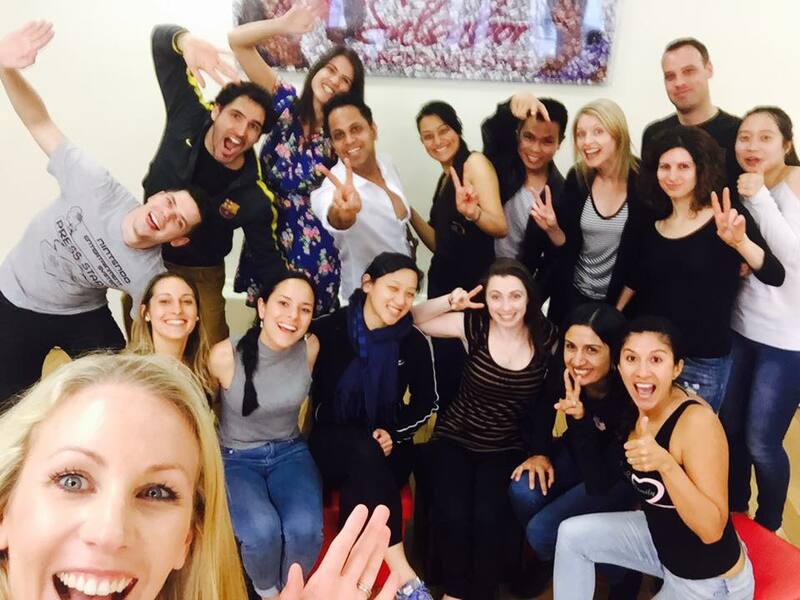 We may be passing on the ownership of the studio, but we will always be a part of the Latin dance community and will continue to come to Canberra to visit our dance friends at Latin Tuesdays and at Salsabor’s End of Term Parties and CLDF. We’ll be having a farewell party. More details coming soon, so for anyone that has been part of this incredible journey with us, please come along. We’d love to see you.